Our commitment to safety starts with our ownership’s belief that safety is an inherent part of delivering quality service to our clients. We believe that the safety and health of our team members takes precedent over production, schedule, and even cost. Having an exceptionally healthy and safe workforce is beneficial as it reduces composite labor rates, prevents unnecessary schedule interruptions, and increases the confidence of our project partners. MSD’s motto, “Safety Always,” applies to both our corporate commitment to safety and the expectation from every MSD team member. “Safety Always” reflects our core value of continuously striving to operate at the highest standard and eliminate unsafe conditions and actions so our team members can go home every night to their families injury-free. MSD is a family-owned enterprise. Our owners feel personal responsibility for the impact the corporation has on its team members, project partners, and the general public. Nothing is more important than preventing injuries. In addition, we believe that safe operations are inherently productive and profitable operations. There is no conflict between the value we put on safety and our value for efficient and profitable performance. Proper planning, training, and continuous improvement in safety supports continuous improvement in quality and production. MSD continues to develop and promote a culture of safety into every operation. 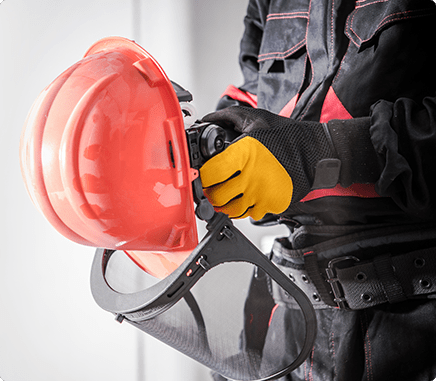 Our safety program is designed to go above and beyond the OSHA requirements and be in line with our industry’s best practices.